Day & Knight provide commercial electrical services for business and commercial premises owners in the Stafford area. If you are looking for an affordable and professional partner to take care of all of your electrical requirements then we can help. 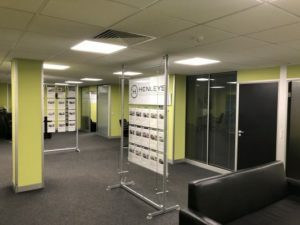 Our qualified electricians can provide a wide range of services from simple power point installation to full rewires of schools, offices, and retail outlets. If you are looking to buy a business premises that is 25 to 30 years old or more, you need to check that the electrical wiring is safe. Faulty or out of date wiring can cause an electric shock, not to mention the risk of a fire so never take chances. 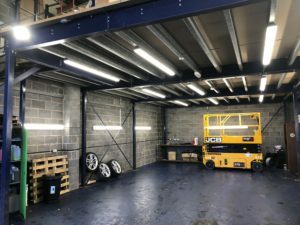 From a small basic job to a large, high-spec project, your installation and equipment is bespoke to you and needs to meet IET Wiring Regulations; Part P of the Building Regulations and Health and Safety Executive (HSE) approved standards. 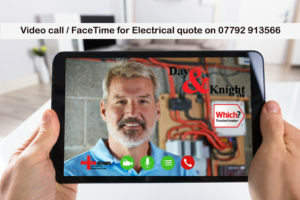 Rest assured that Day and Knight Electrical Solutions will carry out a quality, professional job that is backed by the Which? Trusted Traders scheme and NICEIC approved. Examples of our services include Portable Appliance Testing (PAT Testing), Fixed Wiring Testing, EICR Inspection Testing, emergency lighting repair/maintenance and lighting systems. We also understand the importance of energy efficiency: balancing the needs of your business whilst reducing your carbon footprint and saving money at the same time. There is more than one type of electrical certification and the type you have or need depends on your electrical installation. It is advisable to maintain all paperwork that links to past or future installations. All electrical installations show signs of wear and tear over time or a component may fail due to overloading or lack of earthing. The heavier the load placed on your electrical installation the more likely it will creak under the strain. 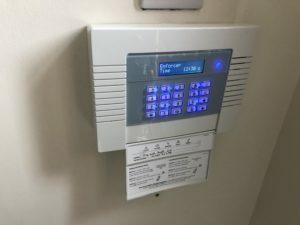 This is why it is important to check the condition of your electrics on a regular basis and even more so if you are a landlord or a business owner. Businesses are required by law to ensure that their electrical installations and appliances are safe and meet regulatory standards. 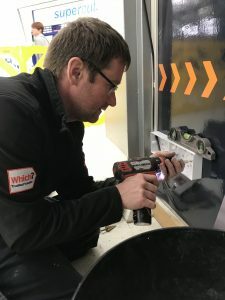 This means Portable Appliance Testing (PAT Testing) and Fixed Wiring Testing of your electrics for safety and compliance followed by the issuing of an Electrical Installation Condition Report (EICR). Fixed Wiring Testing also applies to residential property owners and landlords and is carried out every 10 years. Please contact a member of the commercial electrician team to discuss your electrical requirements on (Stafford) 01785 661199.